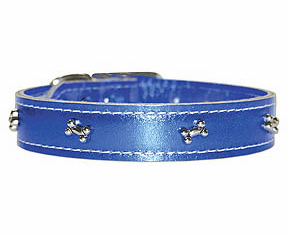 Leather Brothers Bamboo & Nylon Collars Width 5/8" Length 10-14" Price includes free shipping. 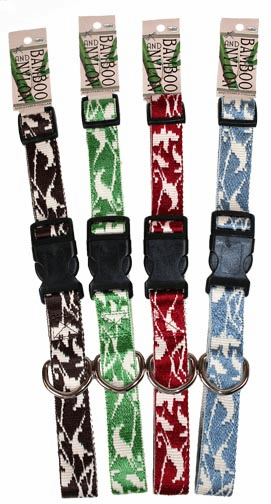 Leather Brothers Bamboo & Nylon Collars Width 5/8" Length 14-20" Price includes free shipping. 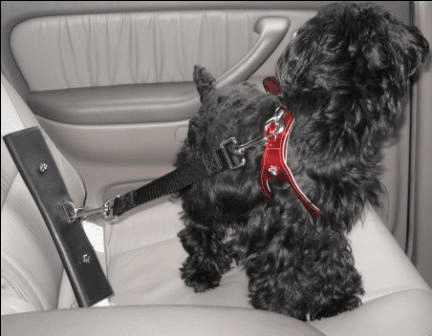 Bamboo & Nylon Collar Width 1" Length 18-26" Price includes free shipping. Bamboo & Nylon Leads/Leash Width 5/8" Length 6ft. Price includes free shipping. Bamboo & Nylon Lead/Leash Large 1" 6 foot. Price includes free shipping. 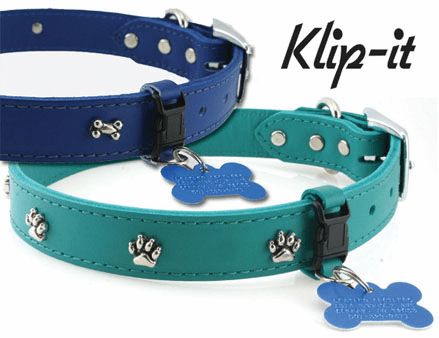 Casual and colorful, these delightful Signature Leather collars are both pleasing to the eye and the pocketbook. 11 great colors to choose from, along with a choice of Paws, Bones, Hearts or Spikes & Studs. Signature Klip-it's also available in matching colors. Use Klip-it's to secure ID and vaccination tags quickly and easily.